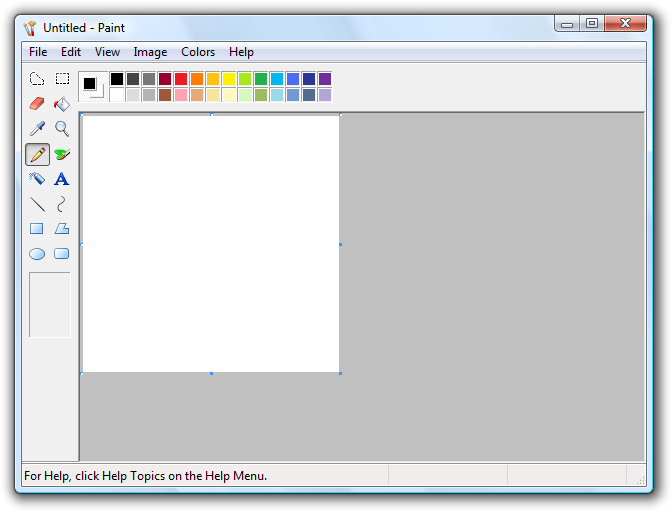 Paint (formerly Paintbrush for Windows) is a simple graphics painting program that has been included with almost all versions of Microsoft Windows since its first release. It is often referred to as MS Paint or Microsoft Paint. The program opens and saves files as Windows bitmap (24-bit, 256 color, 16 color, and monochrome, all with the .bmp extension), JPEG, GIF (without animation or transparency, although the Windows 98 version and a Windows 95 upgrade did support the latter), PNG (without alpha channel), and TIFF (without the multiple pages). The program can be in color mode or two-color black-and-white, but there is no grayscale mode. If you need more information please contact the developers of Microsoft Paint (Microsoft Corporation), or check out their product website.